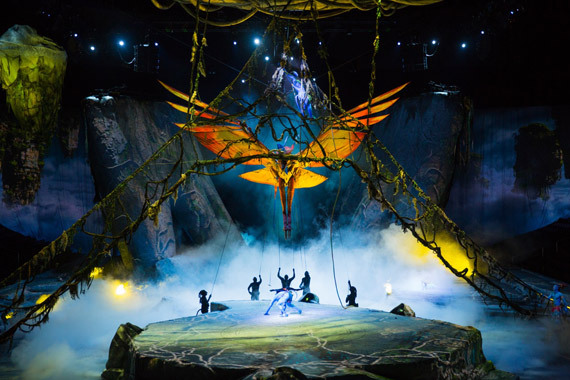 Cirque du Soleil brings Toruk – The First Flight to Nashville’s Bridgestone Arena from August 24-28, 2016. 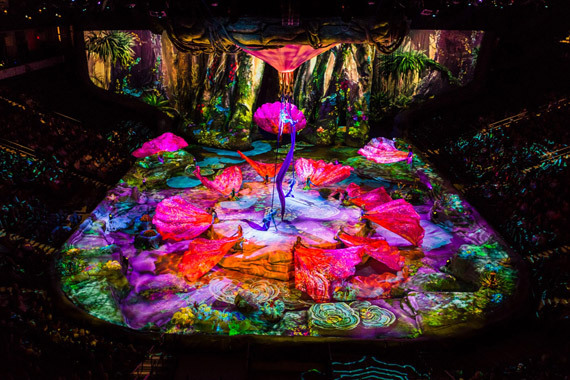 The live, multimedia event is inspired by James Cameron’s Avatar. The production elements produces a visually stunning experience that matches and perhaps exceeds shows seen in Las Vegas by transforming Nashville’s Bridgestone Arena into a new world. The actors and dancers perform jaw-dropping moves throughout the show as the story unfolds. 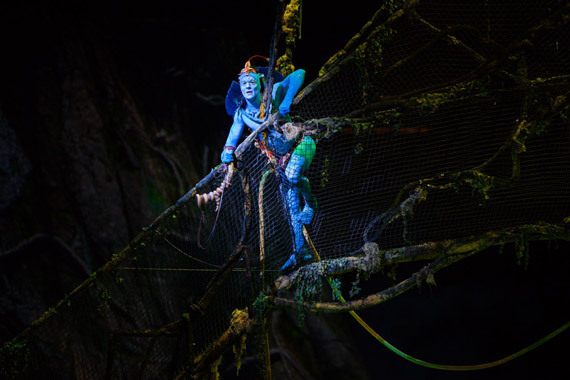 Through a fusion of visuals, puppetry, stagecraft and cinematic score, Toruk is narrated by a “Na’vi Storyteller” and populated by characters. The tale is set thousands of years before Avatar. When a natural catastrophe threatens to destroy the sacred Tree of Souls, Ralu and Entu, two Omaticaya boys on the brink of adulthood, fearlessly take matters into their own hands. Upon learning that Toruk can help them save the Tree of Souls, they set out together with their newfound friend Tsyal, on a quest in the Floating Mountains to find the mighty red and orange predator that rules the Pandoran sky. Prophecy is fulfilled when a pure soul rises among the clans to ride Toruk for the first time and save the Na’vi from a terrible fate. Purchase tickets for any of the performances here. 40 video projectors illuminate approximately 20,000 square feet, more than five times the size of a standard IMAX screen. Puppeteers are equipped with microphones and make their own animal sounds. The Tree of Souls is inflatable with branches covered in thousands of LED lights. The show’s performance area is based on the Fibonacci spiral. This shape is determined by the ancient number sequence in which each number is the sum of the two preceding numbers. According to these proportions, the Tree of Souls would be in the exact spot at the heart of the spiral. Hometree is 80 feet wide by 40 feet high. Four different blue base skin tones were created for the Na’vi people. The base skin fabric, an optical white synthetic fiber, was silkscreened to create the muscle and stripes. The bioluminescent effect is created using a product that reacts to the light filters used in the show.